Saturday, May 4th, 2019 at 10:00 a.m.
Bloomsburg Town Pool, Corner of Catherine St. & Ft. McClure Blvd. 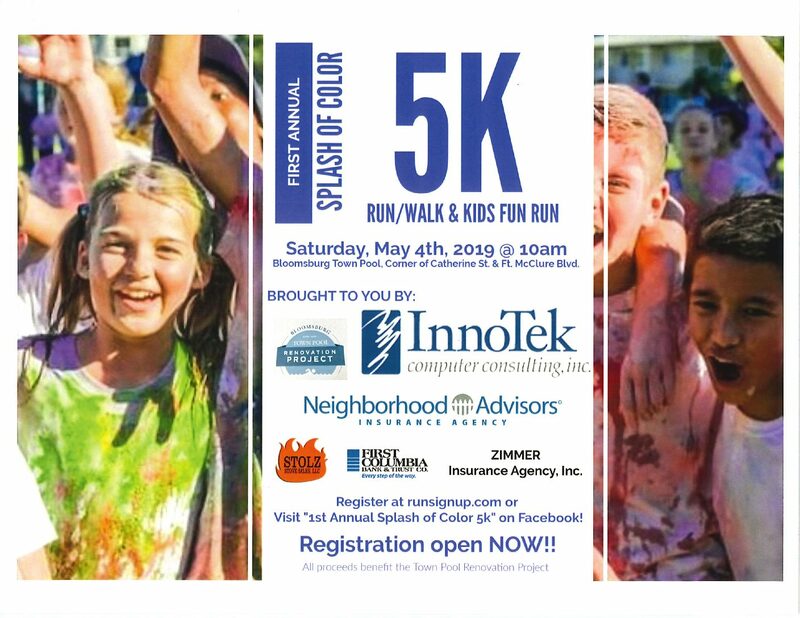 Register at runsignup.com or visit “1st Annual Splash of Color 5K” on Facebook! All proceeds benefit the Town Pool Renovation Project!